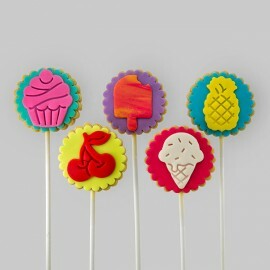 Our various themed shortbread cookies on sticks make beautiful birthday gift or event giveaways, in a bouquet or by the unit. Two formats are available, depending on the shapes: 65 mm and 75 mm. They come individually wrapped in food grade cello. Minimum order of 6 cookies per series. Thrifty themed cookies There are 10 products. 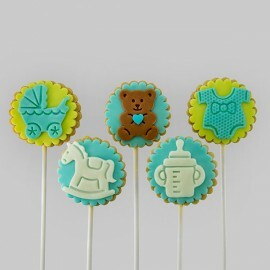 These "baby" thrifty shortbread cookies are perfect to celebrate a birth or for a baby shower. Offered in boy or girl version. Please specify when you place your order. Medium size vanilla shortbread (65 mm) decorated with our marshmallow fondant, an exclusive house recipe. Minimum order of six cookies Allow 3 working days for production. 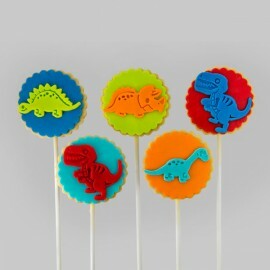 These "dinosaur" thrifty shortbread cookies are perfect as a birthday gift. Medium size vanilla shortbread (65 mm) decorated with our marshmallow fondant, an exclusive house recipe. Minimum order of six cookies Allow 3 working days for production. 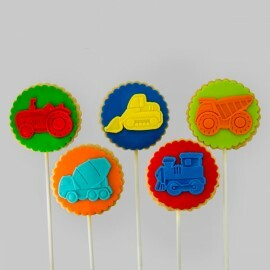 These "trucks" thrifty shortbread cookies are perfect as a birthday gift. Medium size vanilla shortbread (65 mm) decorated with our marshmallow fondant, an exclusive house recipe. Minimum order of six cookies Allow 3 working days for production. 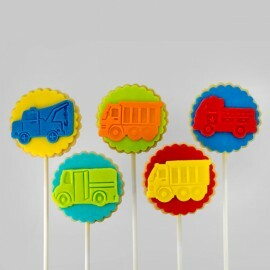 These "trucks" thrifty shortbread cookies are perfect as a birthday gift. Large size vanilla shortbread (75 mm) decorated with our marshmallow fondant, an exclusive house recipe. Minimum order of six cookies Allow 3 working days for production. 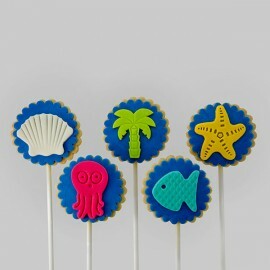 These "Sea" thrifty shortbread cookies are perfect as a birthday gift, ora marine or vacations themed event. Medium size vanilla shortbread (65 mm) decorated with our marshmallow fondant, an exclusive house recipe. Minimum order of six cookies Allow 3 working days for production. 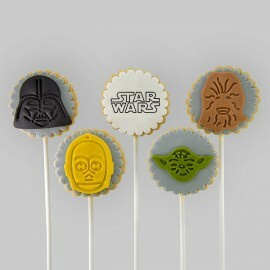 These "Star Wars" thrifty shortbread cookies are perfect as a birthday gift or a themed event. Medium size vanilla shortbread (65 mm) decorated with our marshmallow fondant, an exclusive house recipe. Minimum order of six cookies Allow 3 working days for production. 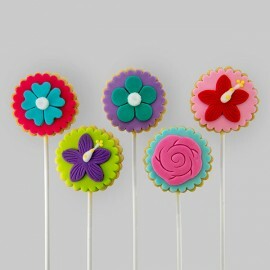 These "Flower" thrifty shortbread cookies are perfect as a birthday gift or a themed event. Medium size vanilla shortbread (65 mm) decorated with our marshmallow fondant, an exclusive house recipe. Minimum order of six cookies Allow 3 working days for production. 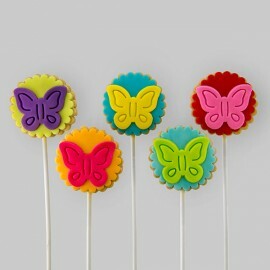 These "Butterflies" thrifty shortbread cookies are perfect as a birthday gift or a themed event. Medium size vanilla shortbread (65 mm) decorated with our marshmallow fondant, an exclusive house recipe. Minimum order of six cookies Allow 3 working days for production. These "Summer" thrifty shortbread cookies are perfect as a birthday gift or a themed event. Medium size vanilla shortbread (65 mm) decorated with our marshmallow fondant, an exclusive house recipe. Minimum order of six cookies Allow 3 working days for production. 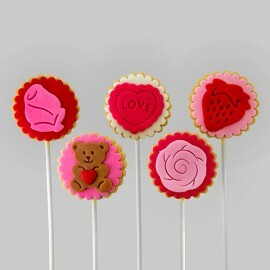 These "Love" thrifty shortbread cookies are perfect as a birthday gift or a themed event. Medium size vanilla shortbread (65 mm) decorated with our marshmallow fondant, an exclusive house recipe. Minimum order of six cookies Allow 3 working days for production.